TechnoServe agronomist Jennifer Poni shows us what it takes to jumpstart a sustainable coffee industry. 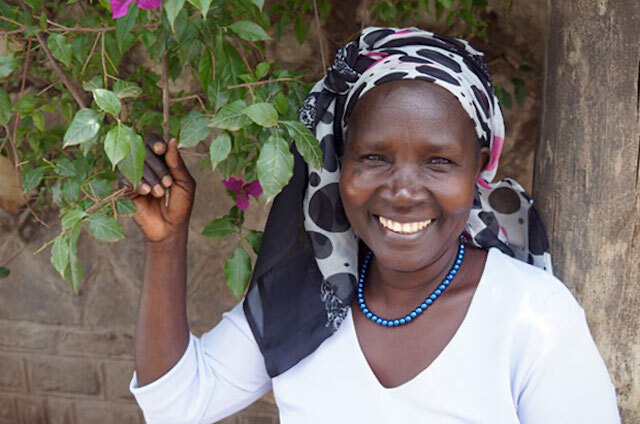 Agronomist Jennifer Poni is a leader in South Sudan’s nascent coffee industry – and a trailblazer for women farmers in her community. Born into a coffee farming family in Yei, in the southwestern part of the country, Jennifer has been a farmer, agricultural office and community organizer. Like many South Sudanese, Jennifer’s family fled to Uganda in the 1970s, and again in the 1990s, to escape civil war and escalating violence. After returning to Yei and working on agricultural projects, Jennifer joined TechnoServe’s team in 2012 to help revitalize a coffee industry that had been destroyed by decades of conflict. The project, a partnership with Nespresso, has resulted in the first coffee exported from South Sudan, which is now available in France as Sulaja ti South Sudan. Jennifer has been teaching farmers how to grow high-quality coffee beans using techniques such as stumping and pruning, and how to process the beans. She also helped organize and register farmer cooperatives, and managed one of the three wet mills TechnoServe and Nespresso established in the region. Read the Guardian’s full profile of TechnoServe agronomist Jennifer Poni.